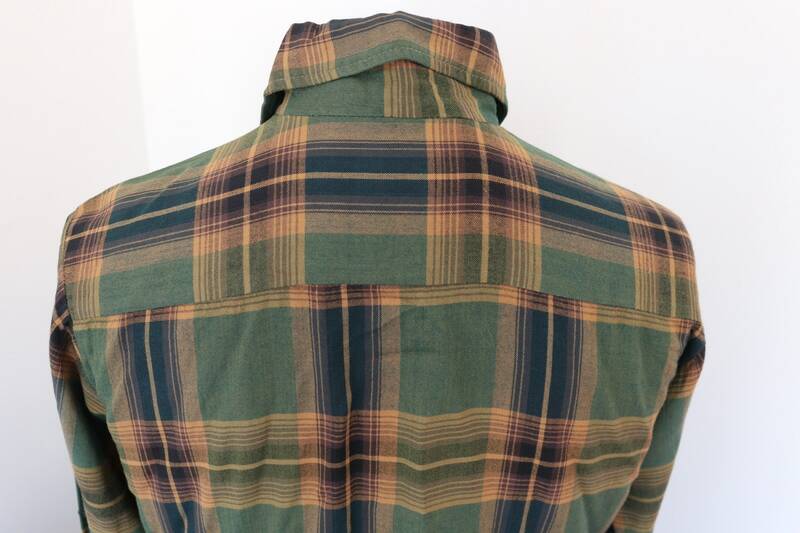 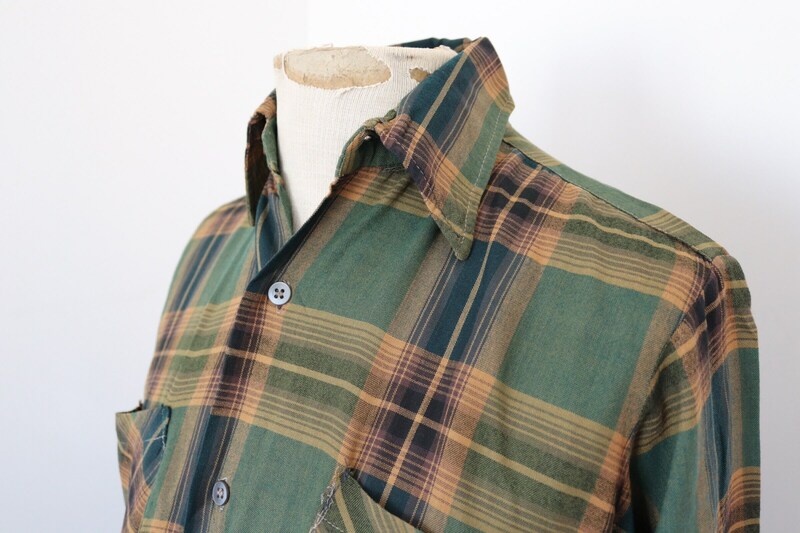 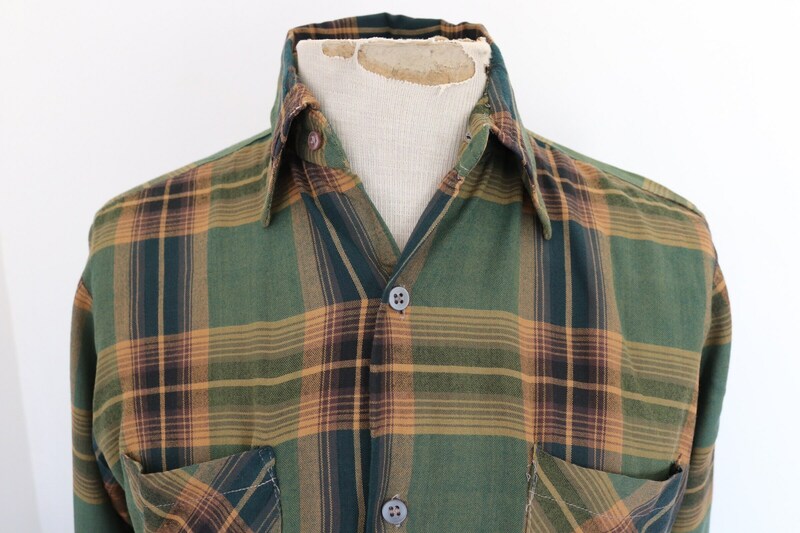 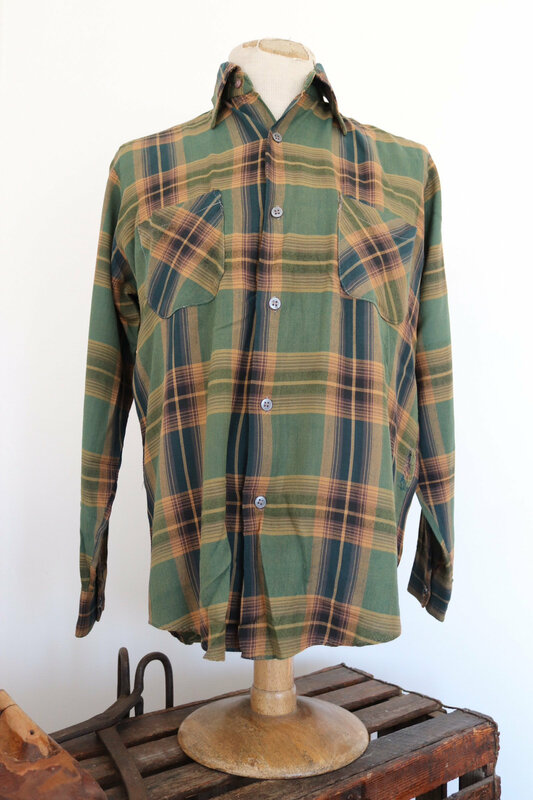 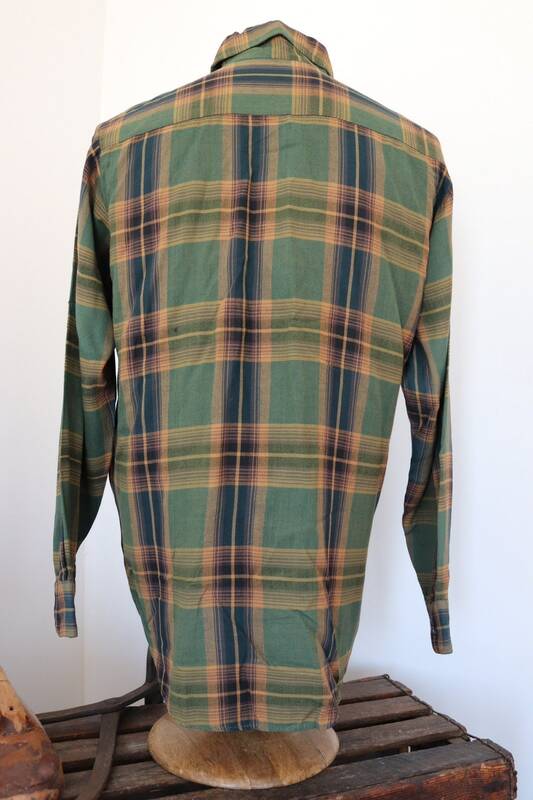 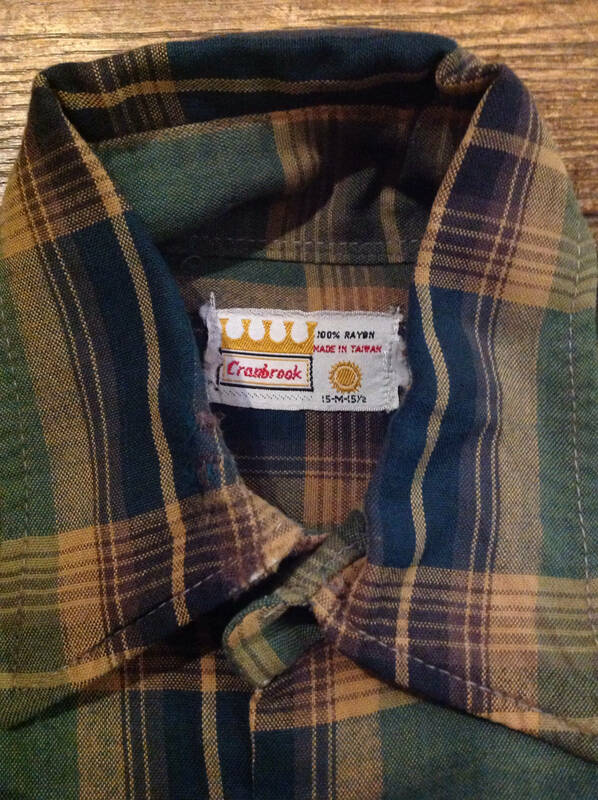 A green and mustard check rayon shirt dating from the 1960s. 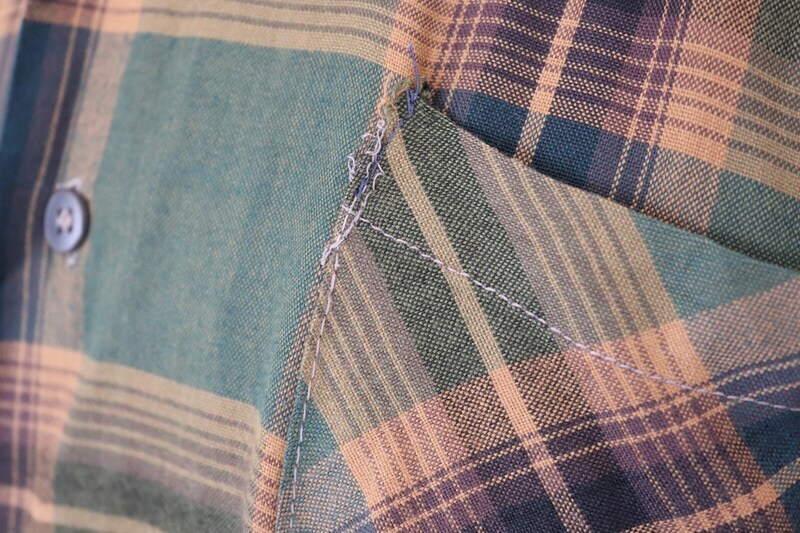 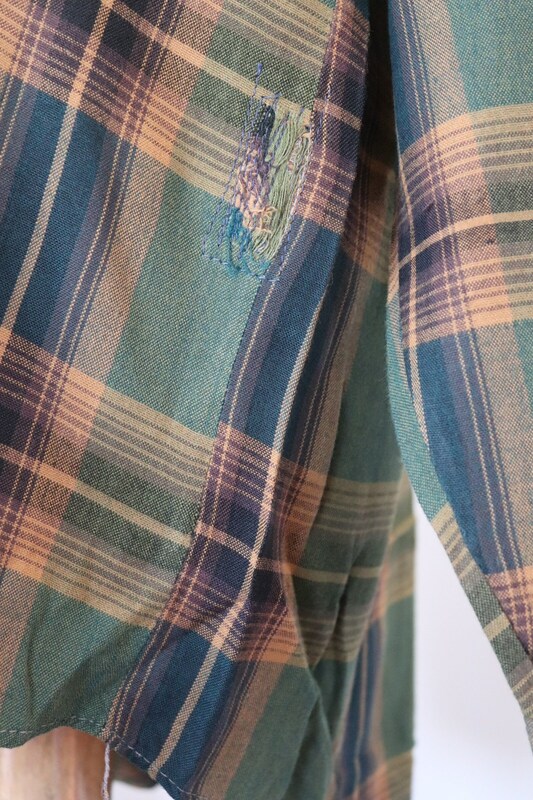 Noted flaws - darned repair on the left side, 6" up from the hem, seam repair to the left chest pocket, two small holes in the left armpit, frayed around the left cuff button - please see photos. 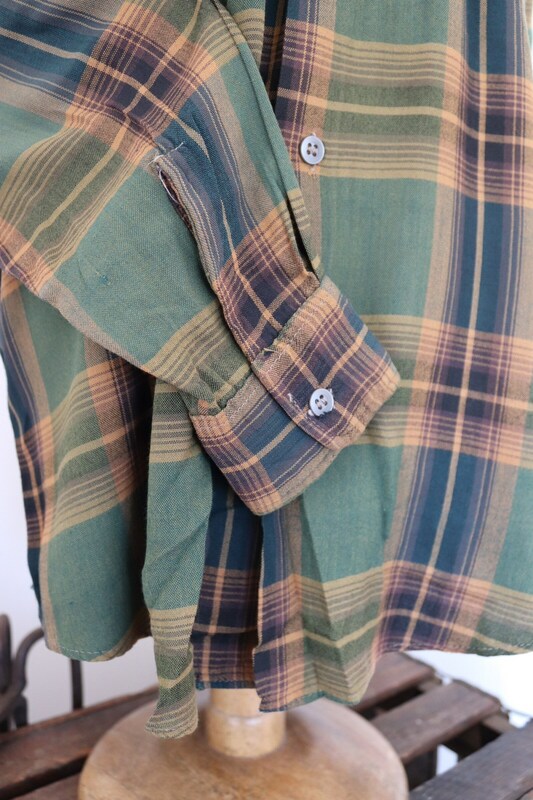 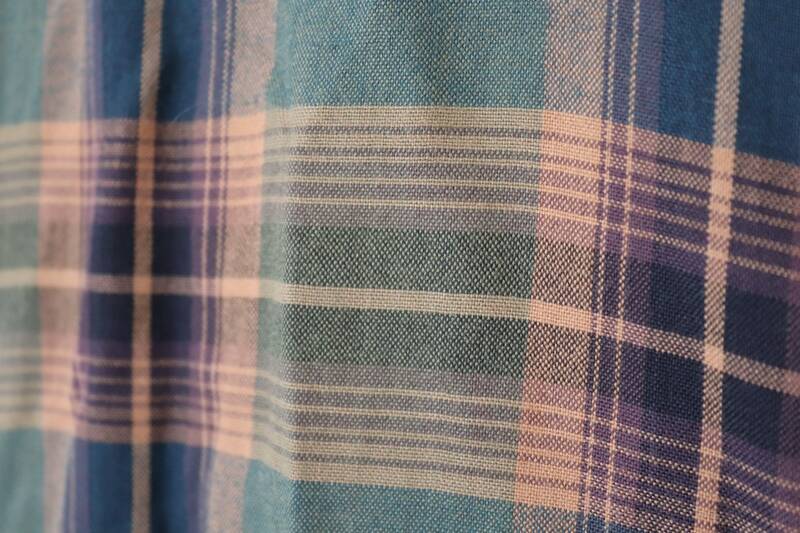 Great condition otherwise, swingy rayon material, two chest pockets, classic US styling.